What does Weber’s law tell us about spike statistics? Weber's law (Fig. 1A), which states that estimation error scales linearly with the magnitude of the estimated variable, is a ubiquitous and robust phenomenon. A similar observation in estimating temporal intervals is called Scalar Timing. A central goal of neuroscience is to find the physiological basis of behavior; yet, despite the fundamental nature of Weber's law and its long history, its physiological basis remains unknown. This work poses a simple question- what are the statistical characteristics of spiking neural-processes that can lead to Weber’s law? Our analysis is based on the hypothesis that neuronal noise, or more precisely the variability of neural spike counts, is the origin of perceptual errors. where K=(±β(1-ρ)/α)n/τ and n=1/(1-ρ). 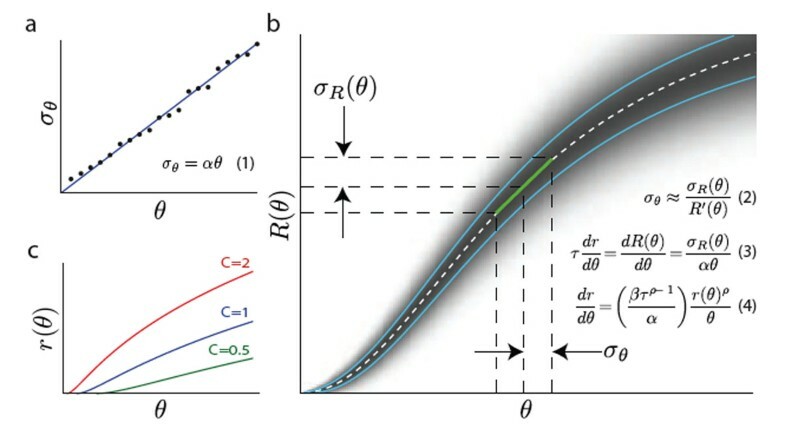 Figure 1B below shows parts of the derivation, and Figure 1C examples of log-power tuning curves. All the parameters of this function except one are determined by the spike statistics, and the free parameter does not alter the scaling. More complex exact calculations confirm the validity of the results obtained using the linear approximation. We also compare our predictions to available data. This analysis can also be applied in the temporal domain to the scalar timing law using spike rates that vary in time with a log-power profile. Our linear approximation demonstrates the principles of our theory and a discrete series approximation captures almost exactly the results of stochastic simulations. We also test the optimality of these scaling laws using use variational calculus to find a joint differential equation for the tuning curves and the probability distribution of the measured variable. In a surprisingly general result, this analysis shows that Weber’s law is optimal only if the estimated variable has a scale invariant power-law distribution with an exponent of n=-2.